Welcome to Saydel Community School District's Nutrition Services! The new requirements build on the work we have already been doing to provide more fruits, vegetables, whole grains, and healthier main dishes in our cafeteria. We do our best to offer a variety of foods that will appeal to many different ages and tastes. 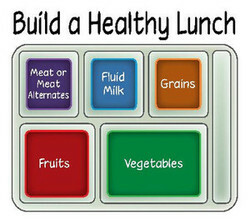 Now is a great time for students to choose school lunch! Check out the "Meal Requirements" tab to learn more.